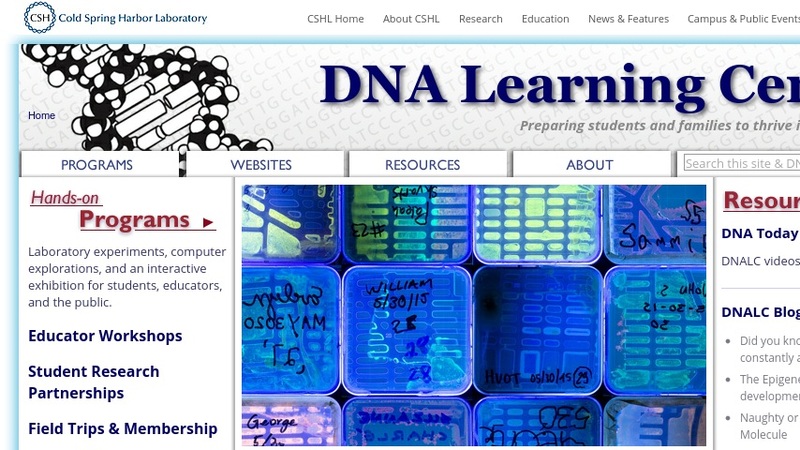 The Dolan DNA Learning Center provides web-based multimedia and interactive resources for genetics education. The center's website features interactive presentations on the use of DNA to study human evolution; laboratory and bioinformatics exercises on plant gentics; and laboratory exercises on RNA interference in roundworms (C. elegans) and other organisms. There is also a virtual exhibit chronicling the American eugenics movement of the early 20th century; a multimedia guide to gentics disorders; and a multimedia guide to cancer biology. Other materials include an animated primer on the basics of DNA, genes, and heredity; interactive materials on the history and applications of DNA research; an online resource for analyzing and comparing genes from plants in the Gramineae (grass) family; and many other resources.